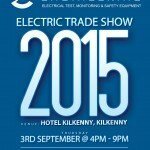 Data Centres Ireland Exhibition covers all aspects of planning, designing and operating your datacentre, storage facility, server room or solution. 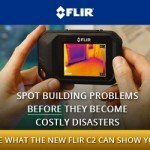 Save over €1600 on the price of an optional 15° telephoto or 45° wide angle lens with the purchase of a FLIR E-Series* camera through September 30, 2015. 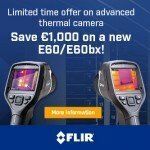 Save €1,000 on a new FLIR E60 or E60bx thermal camera! 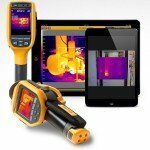 Purchase a qualifying FLIR Camera & Get a free FLIR ONE TI Device for your iPhone 5/5s!